Chennai formerly known as Madras is the capital city of the Indian state of Tamil Nadu. Chennai is the fourth most populous metropolitan area and the fifth most populous city in India. 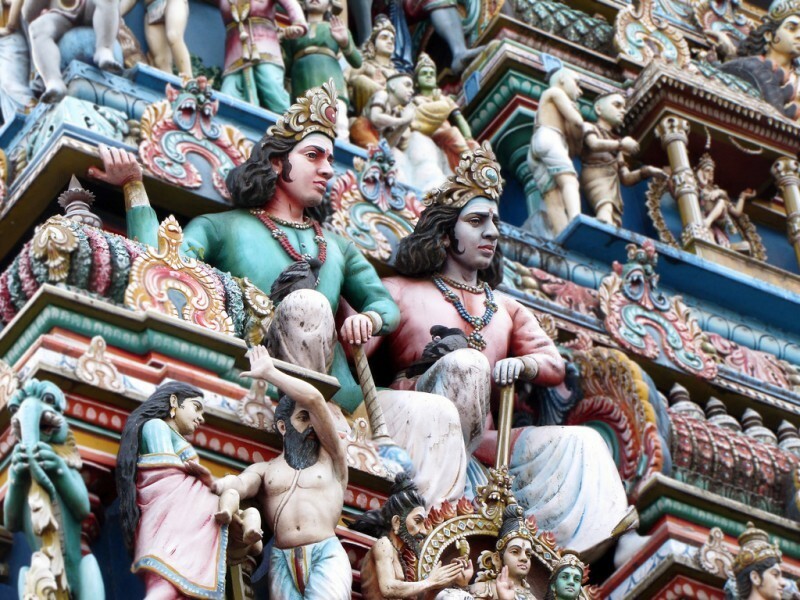 Located on the Coromandel Coast of the Bay of Bengal, Chennai is an important centre for Carnatic Music and hosts a large cultural event, the annual Madras Music Season, which includes performances by hundreds of artists. The city has a vibrant theatre scene and is an important centre for the Bharatanatyam, a classical dance form. The Tamil film industry, one of the largest film industries in India, is based in the city; the soundtracks of the films dominate its music scene. This 369-year-old city is the capital of the southern state of Tamilnadu and is India’s sixth-largest city in terms of population with an estimated population of 7.45 million (2005). It serves as one of the main gateways to South India and has a thriving local culture and art scene and is one of the major destinations for medical tourism. It is considered as one of the world’s fastest growing cities although ranks 13th in terms of cleanliness. Beach Watch Note Although Chennai beaches are both beautiful and inviting; they are not swimming beaches, due to strong under currents present along the shoreline. Swimming should not be attempted there. There are no lifeguards and rescue equipment is not provided at any of these beaches. However there are "beach police" who ride on horses and keep an eye on the people and look out for any trouble. People should avoid wearing swimwear or similar attire in the city beaches as such clothing is not appropriate there and will attract stares. 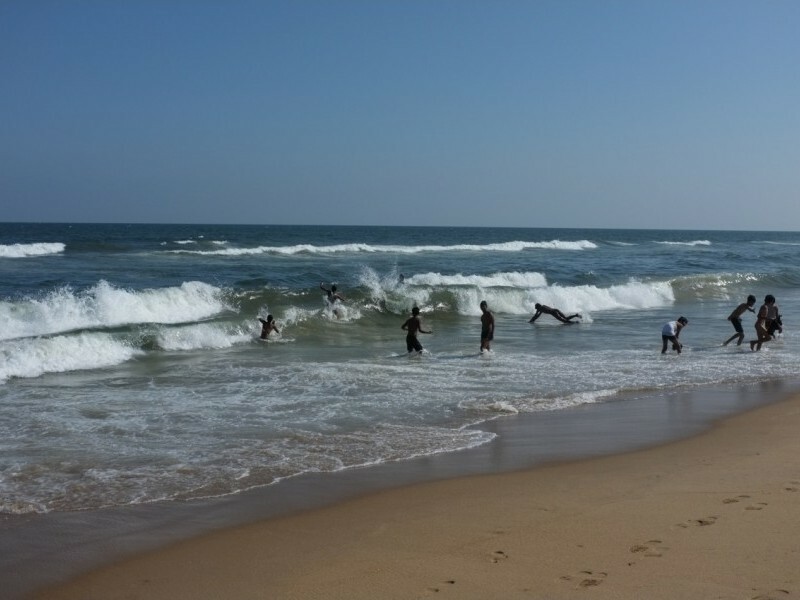 Chennai has several well-known beaches such as: •	Marina Beach is 12 km long and offers excellent opportunities for walks and has a very wide sandy foreshore. Its width is up to 300 m (985 ft.). The Marina of Madras is the second longest urban beach in the world. It is an elegant promenade with flower beds along its lanes. Along the shore, there are many buildings built during the British colonial rule. •	Edward Elliot's beach is spread along the coast down south from Marina. It is also the night beach for Chennai youth. This beach is comparatively quieter and it is located near Besant Nagar. •	Breezy Beach is located in the quiet neighborhood of Valmiki Nagar (Thiruvanmiyur) in Chennai. It is smaller and less popular than the Elliot's beach. This beach is not as commercialized as the Elliot's beach, and is hence more quiet and peaceful. It is at Kotturpuram, between Adyar and Guindy, is the most modern planetarium in the country. Adjoining the planetarium is a Periyar Science and Technology Museum which will be of interest to students and other science scholars. Built in memory of B.M. Birla, the well-known industrialist and visionary, the Planetarium is considered to be the most modern in the country. Pantheon Rd, Egmore. Established in 1857, the Government Museum of Chennai is one of the popular tourist destinations in the city. It is a multi-purpose State Government Museum located in Egmore, which is in the heart of the city, spreading over an area of 16.25 acres of land. Six independent buildings in this Museum campus have 46 galleries. The building of National Arts Gallery was built in the year 1907. This magnificent red sandstone building was designed by Henry Irwin and built by T. Namberumal Chetty. The building represents a typical Indo-Saracenic structure and was initially famous as the Victoria Memorial Hall. Built with sandstone and adorned with motifs, the building bears impressions of Mughal architecture. Chennai has the distinction of having the first zoo in India, which was started in 1855. This park is said to be one of the biggest in South East Asia. The wildlife population is exhibited in a large open moated island enclosure with a simulated natural environment. More than 170 species of mammals, birds and reptiles are housed in this park. Lion safari vehicles, elephant rides, battery operated vehicles are some of the facilities available. 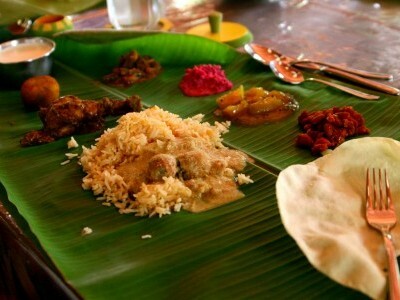 The peak time is during Pongal and weekend holidays. It is a freshwater swamp in the south of the city. Being able to retain water throughout the year, it forms an aquatic ecosystem. The marsh acts as a home for many endangered and as a breeding ground for thousands of migratory birds which makes it an ideal place for bird watching. A conservation project is afoot to spruce up the area and build an observation center for visitor's convenience. There have been walks conducted in the marsh by the societies like Madras Naturalists Society. Contact them to find out about their events. It is a protected area between alachery and Tambaram. According to reports, it is home to 85 different species of birds and some rare territorial orchids. Similar to the above marsh, there are no regularly conducted walks, but some photography societies and nature societies organize walks once in a while. During summers it becomes too hot and humid to venture out during the day. So go out for a stroll during the night (7-9 PM) on the Marina beach and Elliot’s Beach (Besant Nagar). Stroll along the overcrowded Pondy Bazaar and Ranganathan Street and try your skills in bargaining for knick-knacks. Be warned that it is an intensely crowded place, where you have to elbow your way through. Spread over 27 acres, this theme park offers joy rides, food stalls and other games. It features one of the first roller coaster rides of Chennai, and many of the rides offered could make your hair stand on edge. On the softer side, you have the dashing car drives, and the swimming pool with its water slides. MGM Dizzee World is in Muttukadu next to MGM Beach Resort. Specifically aimed at providing entertainment for the children, this park has a longer history than MGM. Dolphin city was closed after all of its dolphins and sea lions had died. It is no longer operational now. 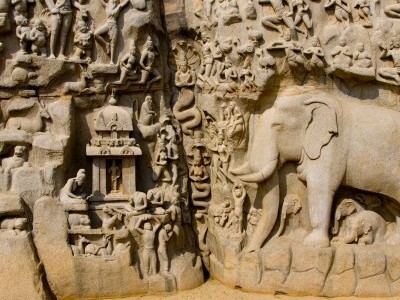 It is a small fishing village located 40 km (25 mi) from Chennai on the way to Mahabalipuram. Now it is a luxury beach resort. There was a fort built by the Nawab of Carnatic, Saadat Ali. It was here that the French General Labourdonnais landed his troops in 1746. Later it was taken by Robert Clive in 1752 and destroyed. The Beach is separated from the mainland by the canal running from Chennai to Mahabalipuram. Taj Group of Hotels runs the Fisherman's Cove Resort with rooms in the main buildings and cottages and the sandy beach here. Sunbathing here attracts much less attention than in the city beaches. Let one of our tailor-made holiday experts help you plan a personalised Chennai experience as per your budget and requirements.